AOIFE KAVANAGH, THE reporter on the RTÉ Prime Time Investigates Mission to Prey programme that defamed Fr Kevin Reynolds has resigned this evening in the wake of a highly critical report of the programme, RTÉ said this evening. The Broadcasting Authority of Ireland has this evening published its report into the programme which falsely claimed that Reynolds had fathered a child while working as missionary in Africa in the 1980s. RTÉ has been fined €200,000 for breaching the Broadcasting Act. According to tweets from RTÉ colleague and news presenter Bryan Dobson on Twitter, Kavanagh said that she “does not accept many of the findings” in the BAI report “in relation to the manner in which I carried out my work”. She has apologised to Reynolds “for the hurt caused to him” by the programme. Kavanagh had not been involved in RTÉ News and Current Affairs division since a High Court settlement last year in which RTÉ agreed to pay damages to Reynolds for libel. The BAI report by former BBC executive, Anna Carragher, was highly critical of the process of making the programme including the attempts to corroborate allegations made against Reynolds and note-taking throughout the programme making process. Carragher is also critical of Kavanagh’s failure to probe the allegations against Reynolds during an on-camera interview with the woman who claimed she had given birth to Reynolds’ child. The investigator’s report said that Kavanagh’s doorstep interview with Reynolds “made statements which assumed guilty” and raised questions about the reporter’s compliance with guidelines. Kavanagh has this evening resigned from the station after 16 years in which she worked in a number of roles including foreign correspondent. From Co Wexford, she previously presented on Morning Ireland and worked on Prime Time. The Mission to Prey programme had been her first assignment with Prime Time Investigates, a programme format which has since been shelved following the defamatory broadcast last year. 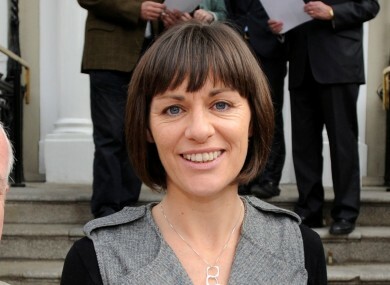 Email “Mission to Prey reporter Aoife Kavanagh resigns from RTÉ”. Feedback on “Mission to Prey reporter Aoife Kavanagh resigns from RTÉ”.